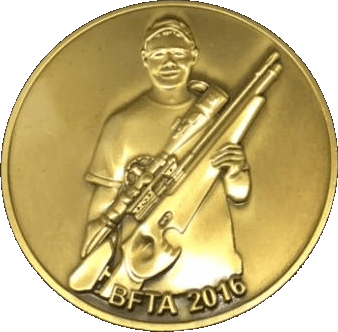 The British Field target association have just released pictures of next years medals which will be awarded to next years 2016 Grand Prix winners. The medal is gold in colour and some say made of gold but many others hoping for chocolate, either way it pictures Jack Harris proudly holding his AirArms EV2 in the center. I think we will all be trying that little harder next year to win one of these…i know i will be.